Similar to earlier submission I did with catapults, but this time there would be two or three catapults. 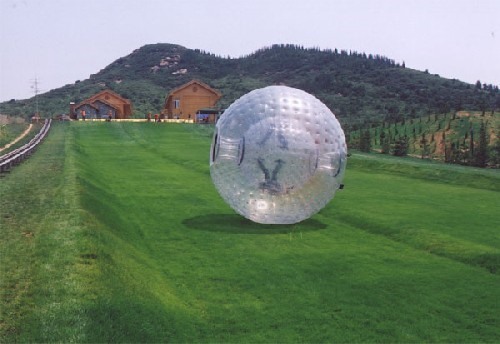 Each of the guys would be put into one of those giant plastic hamster balls and then shot from the catapult at each other so they would hopefully hit in mid-air. Then roll them down a hill into thorn bushes so it pops.